ANNAPOLIS (January 29, 2019)—Parents can expect to see advances in pre-K, tutoring and special education first, among all of the recommendations of a statewide education reform panel, according to its namesake chairman, William "Brit" Kirwan. "What parents will see is just a steady drumbeat of improvement in the experiences that their children are having in the schools," Kirwan told Capital News Service. "We will see a school system in Maryland that will be the envy of the country and perform at the level of the best performing systems around the world," if all the recommendations are funded, Kirwan said. "We have to think of this as a carefully quilted package of initiatives that fit together as a whole," Kirwan said. He said there is no state that has come close to making all teachers reach the "gold-standard," of certification. "It's not a route that every teacher wants to take," Hershkowitz said. 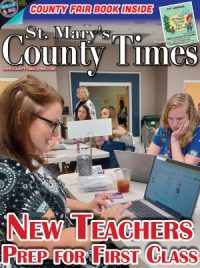 "We would like there to still be more options for teachers." Kirwan told lawmakers that Massachusetts, which launched education reform in 1993, was an example for the committee's recommendations. "We have a lot of low income, minority, rural communities left out of the progress," said Ellis. Ellis said Kirwan's recommendations of wrap-around services at community schools that provide mental health, nutrition and physical support in the school building would be a "tremendous solution." "A kid shows up and they're hungry, they're not going to learn," said Ellis. Hershkowitz said Kirwan's planned investments into a community-school model would be prioritized for areas with high concentrations of poverty. 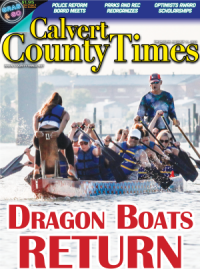 Sen. Jack Bailey, R-Calvert and St. Mary's, said a 2016 study showed recommendations for St. Mary's County would cause a 5 percent increase in funding, but still put them on the same level playing field as other counties. "Obviously we want a world-class education, but we want a funding formula that works for us, especially in rural counties," said Bailey. "We want equality." Kirwan said Massachusetts' shortcomings among minorities made the commission "place laser-like focus on equity." "We've learned from what Massachusetts didn't do," said Kirwan. "We can't leave any kid behind, this has to be for all of our children." "Education, education, education," would be the Legislature's top priority for the 2019 session, Senate President Mike Miller, D-Prince George, Charles and Calvert said earlier this month. "I think that's (recreational marijuana is) the future," Busch said earlier this month. "It will be much like overturning prohibition." "I think we have to be careful, and we will be," said McIntosh. Kirwan said Maryland's economic future is dependent on a well educated workforce, and that high quality education is the only path out of poverty. "We can't afford not to do this," said Kirwan.